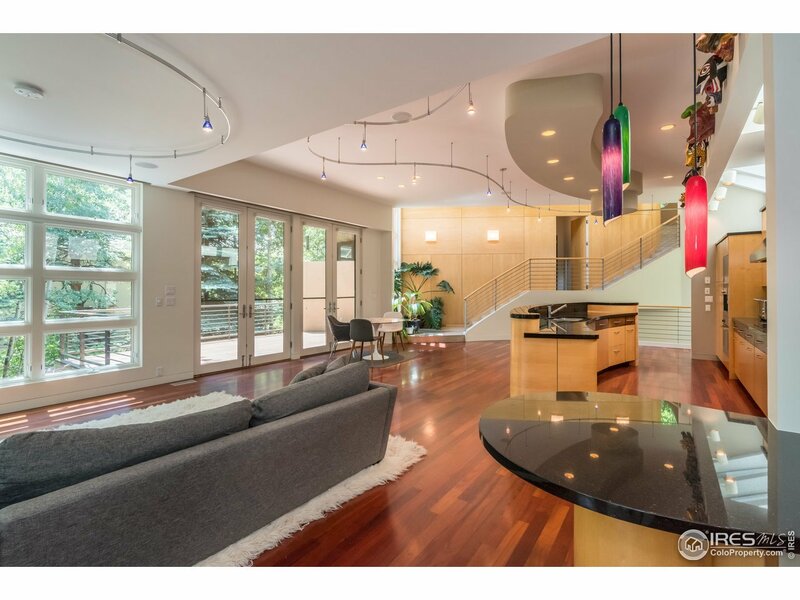 Extraordinary modern home at the base of Flagstaff in Boulder&apos;s coveted Chautauqua neighborhood. This beautifully designed house seamlessly blends indoor and outdoor living; the bright and airy interior spills out onto four different decks. No detail has been spared; from custom woodwork and detailed finishes, to exquisite landscaping and the best creek side patio in Boulder, this house is stunning in all regards. Private, secluded, and located only 200m from the Gregory Canyon trail head.